I’m really bad about buying coats for myself. Whenever I find one I love, the price tag prevents me from buying, and whenever there’s one in my budget I don’t feel like it’s very high-quality. That was until I had the opportunity to pick something out from the Emerson Fry collection! Most of the coats range from $325-$575 (right in my budget) and each is incredibly stylish and chic, not to mention very well-made. 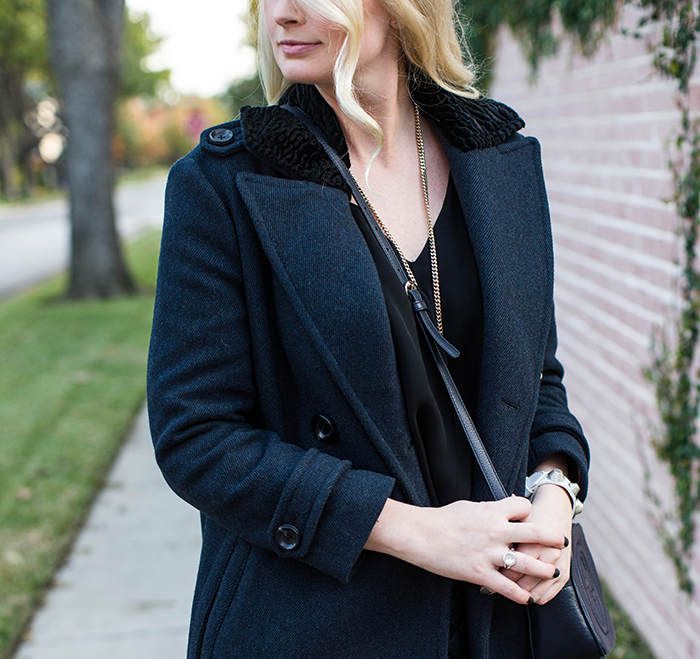 Seeing as my favorite color combo this season is navy + black, I chose this long peacoat. It’s super warm and cozy, especially with the faux persian lamb collar! Other pieces I’m swooning over from Emerson Fry are this oversized knit sweater and these pony-hair booties. Also, this gorgeous button-down is half off! Click here to shop all things Emerson Fry – you can thank me later! This post was brought to you by Emerson Fry, but all opinions are my own. 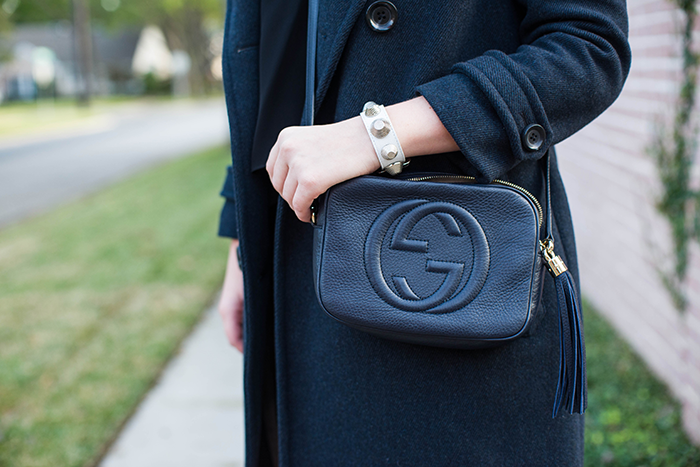 Thanks for supporting the brands that make The Style Scribe possible! These proportions are perfect. Great job! Love this oat with the mini skirt! And those boots are lovely! Isn’t her collection amazing?! I love everything she does every season! What a great pick with this coat, you will get tons of wear out of it! Love this collection! That coat is crazy awesome!! This outfit is pretty fabulous. Love how it’s all black but the little details (like the stitching on the shoes) make it feel like it’s not! This outfit is killer and edgy I love it! such a good pick! EF has the very best coats indeed. Love love love! Great buy! You look great! We’ve been hesitant to try this look but you’ve inspired us. As always, Emerson Fry makes such fantastic pieces. Beautiful all black outfit! Love the gold detailing! Nice coat! I love the skirt too. All the jackets I want have such high prices as well, but I love yours, I’ve been looking for longer ones lately. Also, that quilted skirt is gorgeous, I love the texture. I love it all! Emerson Frye is seriously amazing. The coat is gorgeous (and I now have that song stuck in my head). The detailing on the collar is beautiful!! Oh my goodness, this dress is gorgeous!! 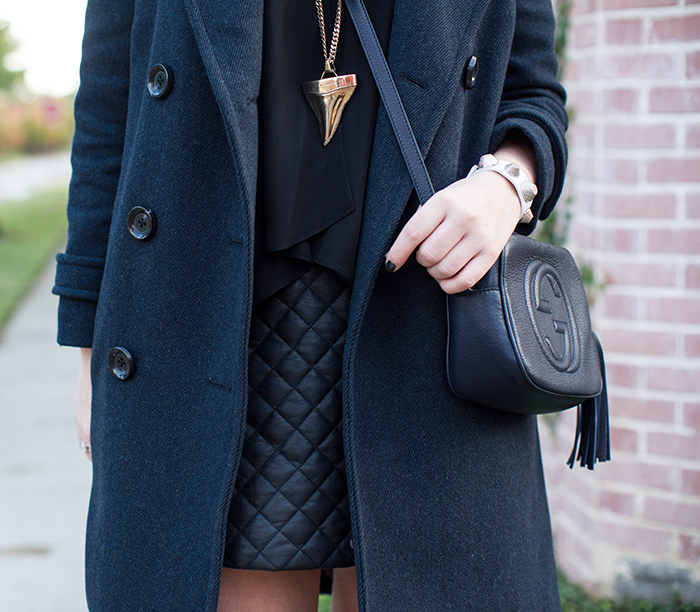 I love a longer coat with a short skirt, something about the proportions feels so chic! 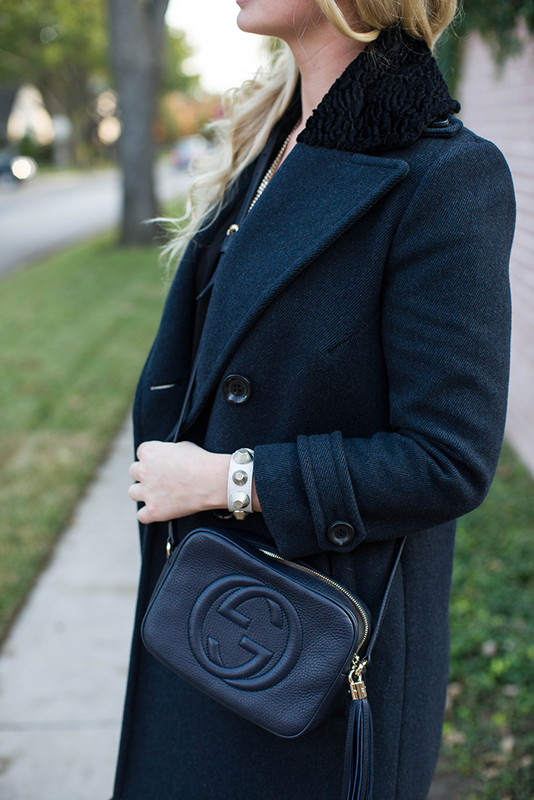 I’ve always got my eye open for a great new coat and this is such a classic yet fresh option! Hehe. Like the title. And LOVE the skirt! Man–gorgeous!! That coat is absolutely to die for! This really is a cute outfit. I love the long coat with the short skirt. And that skirt is amazing. obsessed with this coat, merritt! You are definitely looking so POSH from head to toe!! !